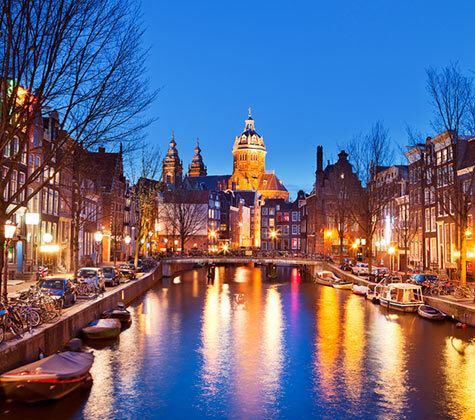 The Netherlands is a constituent country of the Kingdom of the Netherlands, including 3 islands in the Caribbean. The Netherlands in its entirety is often referred to as "Holland", although North and South Holland are actually only two of its 12 provinces. It covers an area of 41,543 square kilometers and has a population of about 16 million Dutch speaking people. It is the 10th most populous country in Europe. Nonetheless in May 2011, the OECD ranked the Netherlands as the "happiest" country. The capital is Amsterdam and the seat of government is The Hague. The Netherlands is a founding member of the EU, G-10, NATO, OECD, WTO and together with Belgium and Luxembourg a part of the trilateral Benelux economic, cultural and geographic union. The country is also host to five international courts and because four of them are situated in The Hague, the city has been dubbed "the world's legal capital". The Netherlands is a geographically low-lying country, with about 20% of its area and 21% of its population located below sea level and 50% of its land lying less than one meter above sea level. Most of the areas below sea level are man-made, caused by centuries of extensive peat extraction, lowering the surface by several meters. In 2012, the foreign population of the Netherlands amounted to 3.5 million persons or 21% of the Dutch population. The main countries of origin are Turkey, followed by Indonesia and Germany. You don’t have to be a citizen to purchase or own property in The Netherlands. Your CENTURY 21® Agent will be able to assist you in understanding the home buying process, but please also consult with a tax advisor for details regarding legal implications as well as taxes in The Netherlands and the home country.